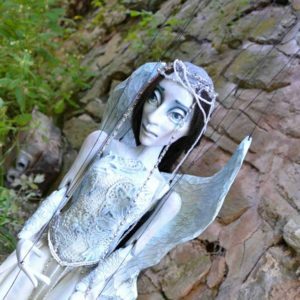 This Muse loved her poet so much! 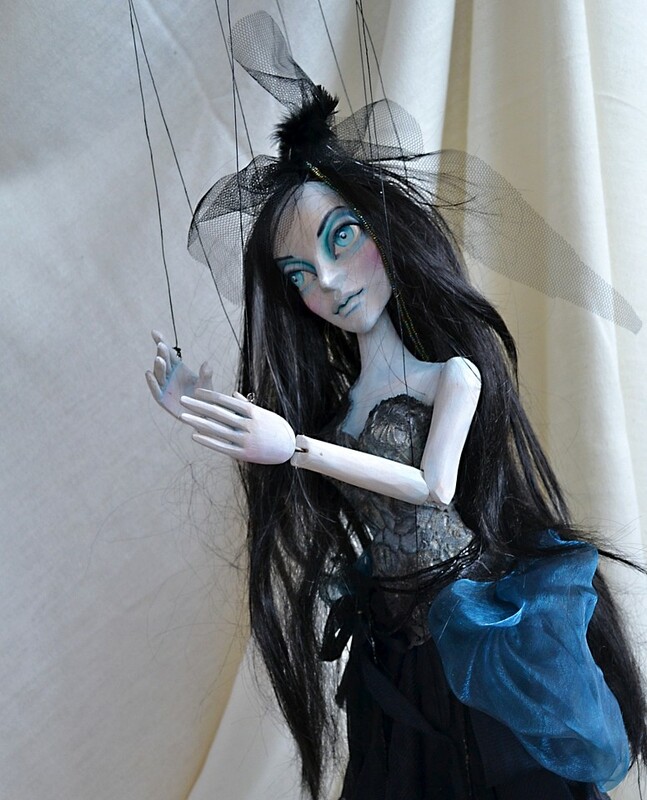 She kept all his poems in her soul after he died and they live inside her together with her heartache. 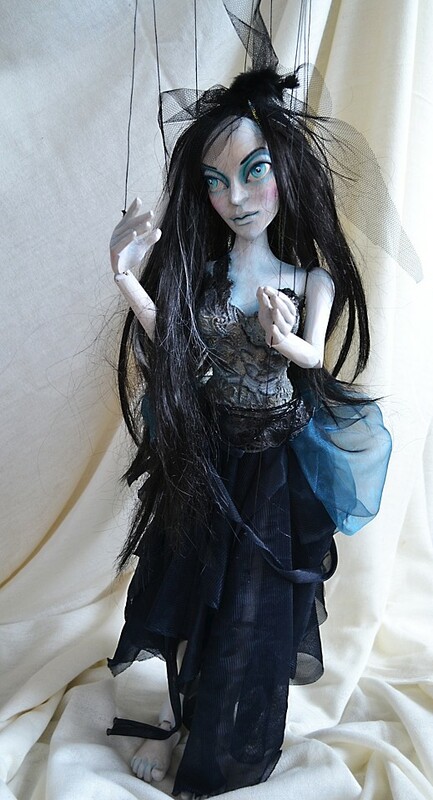 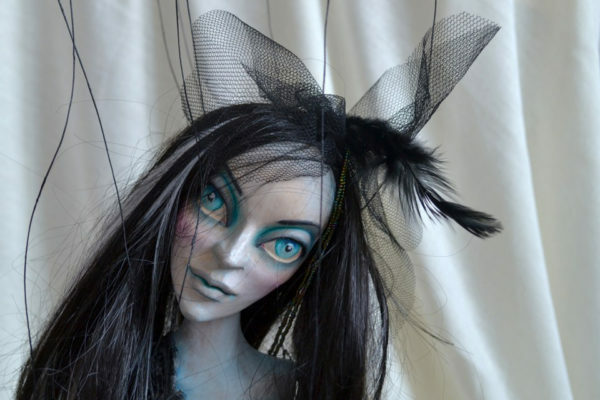 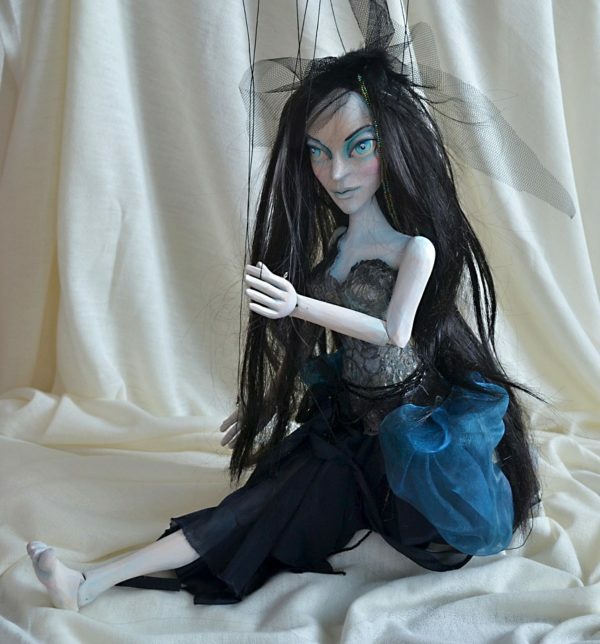 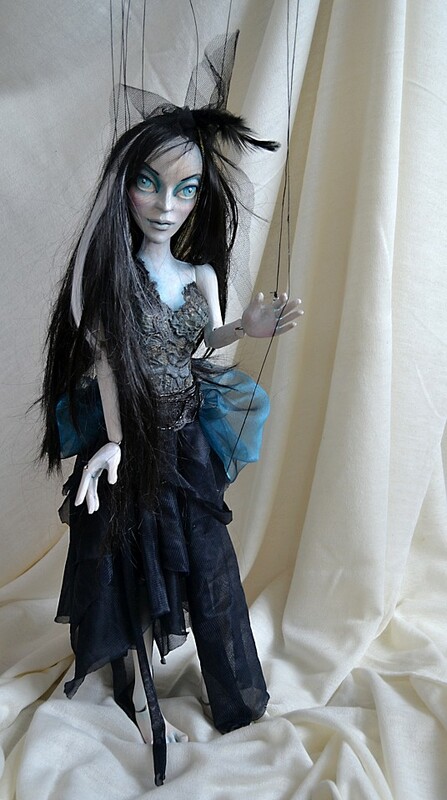 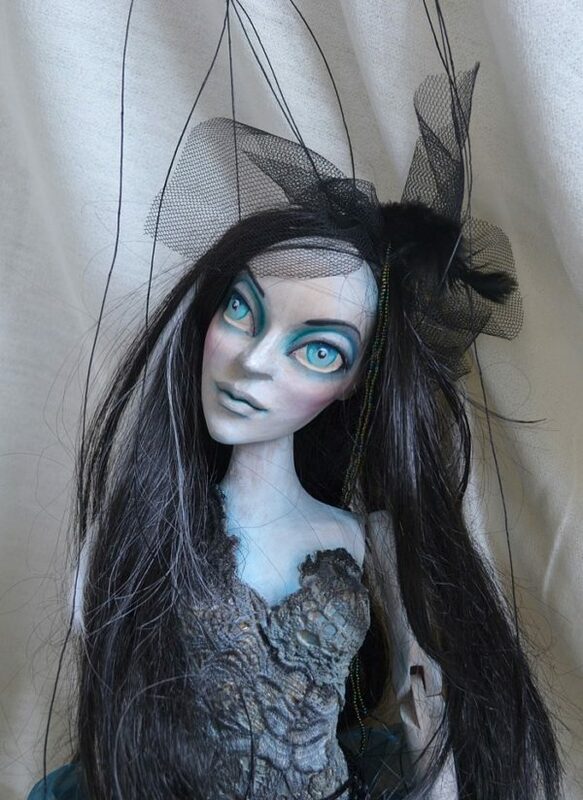 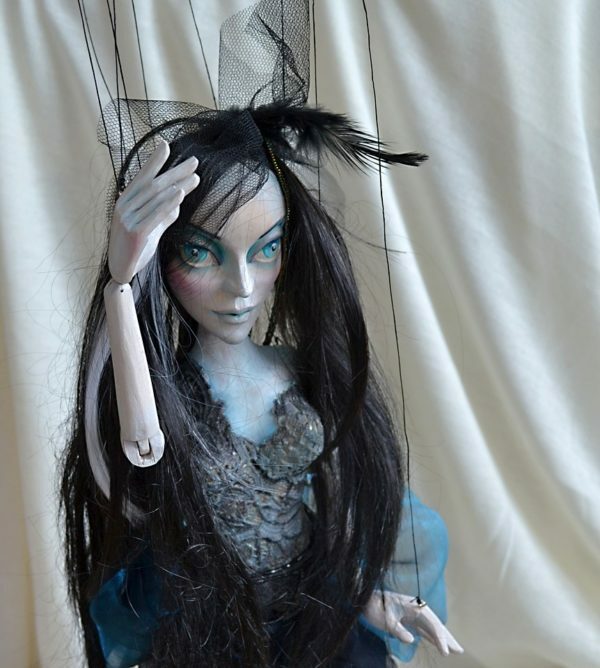 You can play your own poems with marionette and be her new poet. 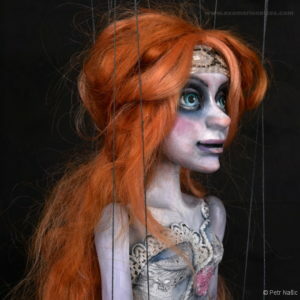 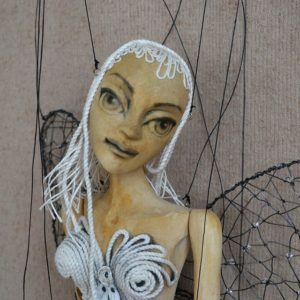 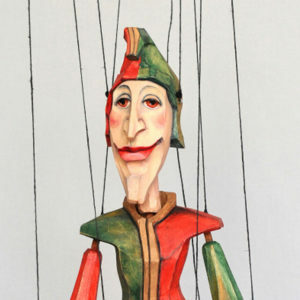 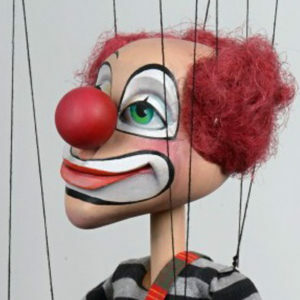 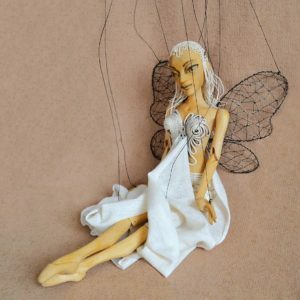 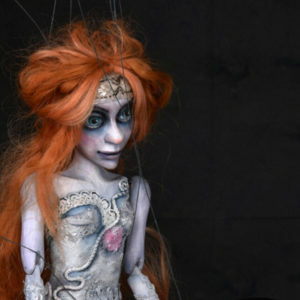 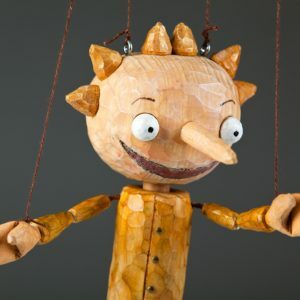 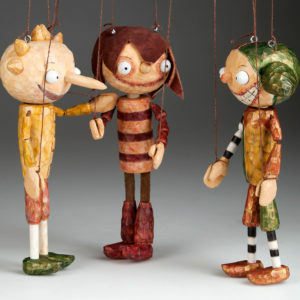 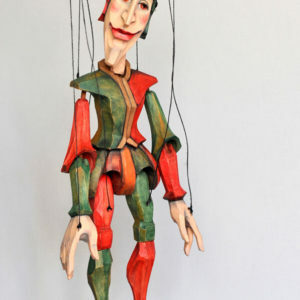 This puppet is a unique original, carved, hand-painted by oil colors and hand-sewn. 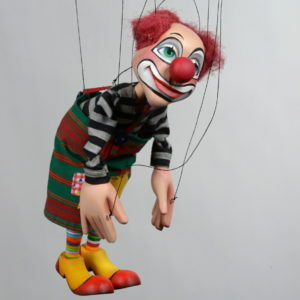 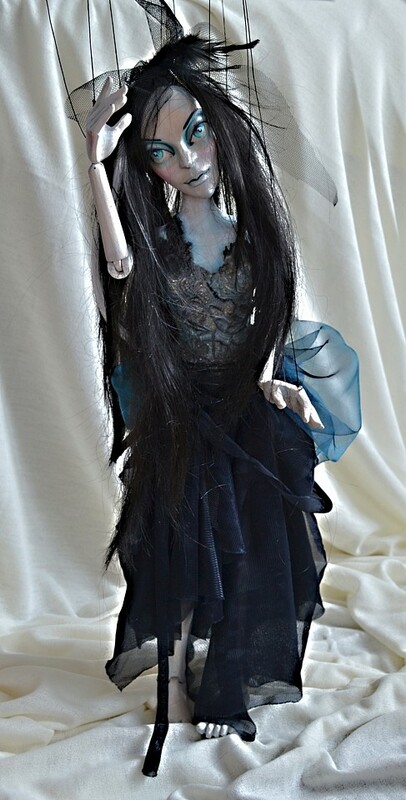 There will be slight differences, character of marionette will be kept.